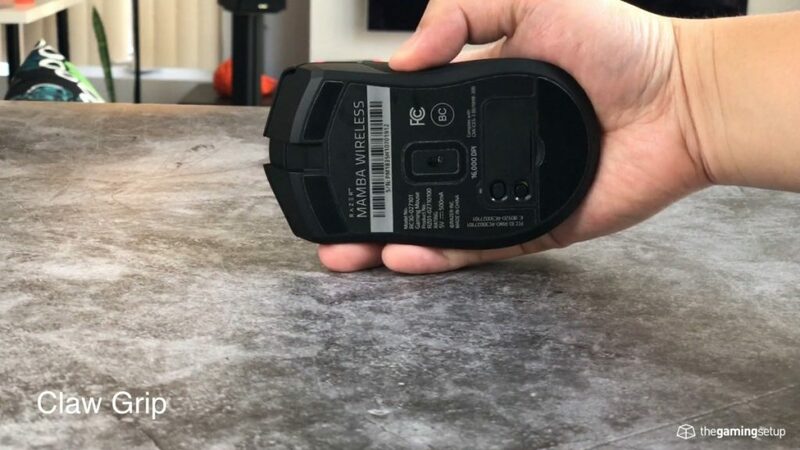 There’s no best or right way to hold a mouse, if you don’t have any issues with pain or aim with your current grip then you shouldn’t look to change it regardless of what pros use. 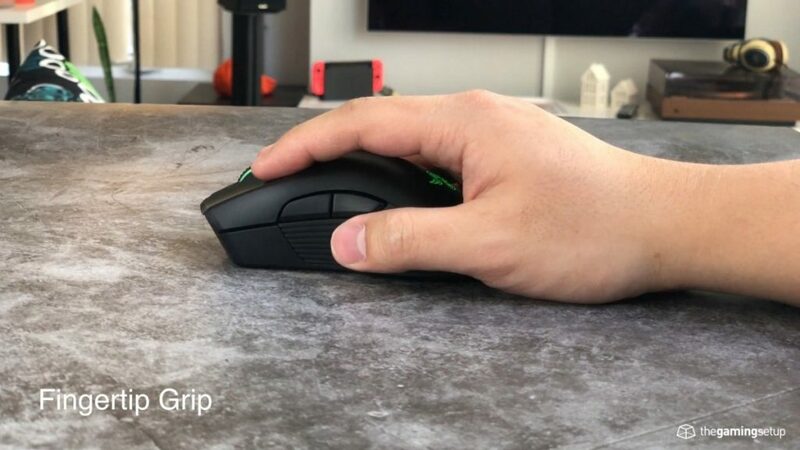 Use this post as a reference to identify what mouse grip you use so you can identify which gaming mice are best for your grip. No single mouse is great for all types of grips, use this guide in combination with our best mouse picks and our gaming mouse size chart to really lock in what gaming mouse would work best for you. Here’s a quick video showing each individual grip if you’re just looking for a quick reference. The palm grip is quintessential grip where the mouse makes contact with most of your fingers and, as it is named, the palm of your hand. The mouse is cupped in your hands with a relaxed, natural and low tension grip. 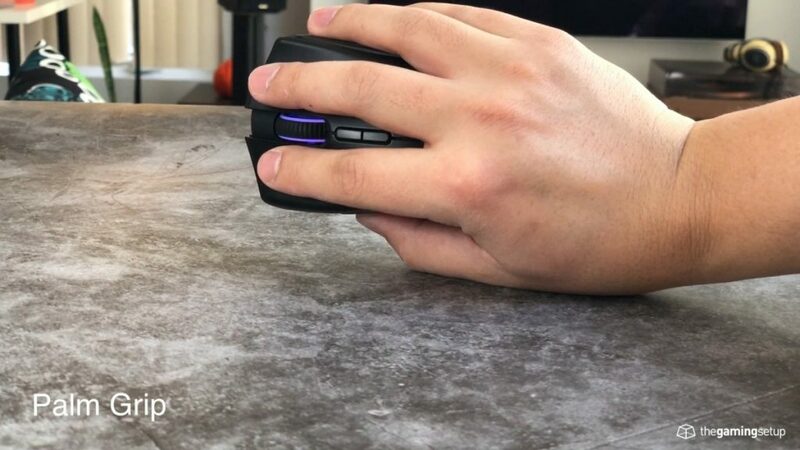 The palm grip allows for good smooth control of the mouse really good for tracking and low sensitivity gaming, it’s less suitable for rapid clicking and quick micro adjustments. The palm grip is good for FPS aiming since it promotes more elbow and shoulder aiming versus relying on wrist movements which are little more irratic. 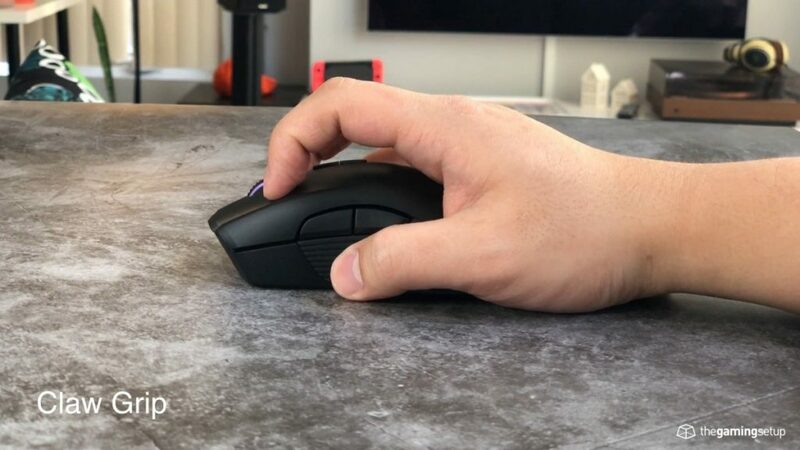 There are several good mice for palm grips, we like the Logitech G703, Razer DeathAdder, Zowie EC series and the Logitech G502 for palm grips. The claw grip arches your main two fingers on the mouse buttons reducing overall contact with the mouse. The rear of your palm is still in contact with the mouse but generally less compared to a traditional palm grip. 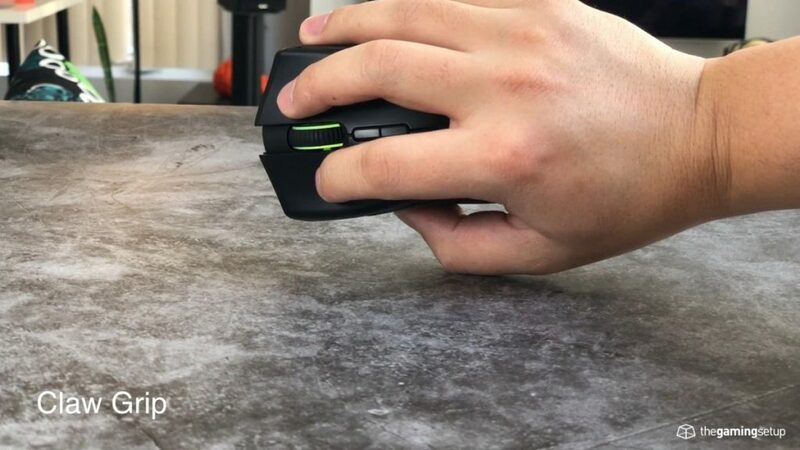 The claw grip allows for the mouse fingers to be much more responsive while also providing a little more pressure and grip onto your mouse for finer tracking movements. 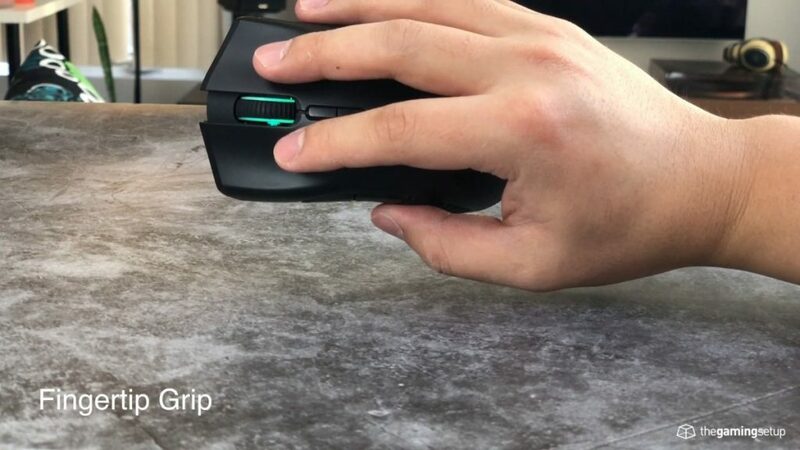 The grip also allows you to button mash much easier and still allows for quick micro adjustments with the wrist while not getting in the way of arm aiming. It’s a much more fatiguing grip than the palm grip so it could prove more difficult to use if you’re not used to the tension. 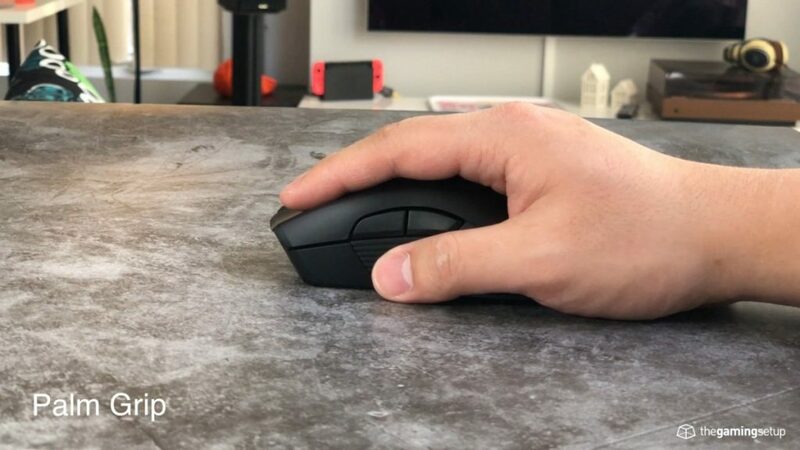 There are lots of good mice for claw grips with flatter shapes, we like the Logitech G305, Zowie FK and S series and the Finalmouse Air58 Ninja for claw grippers. 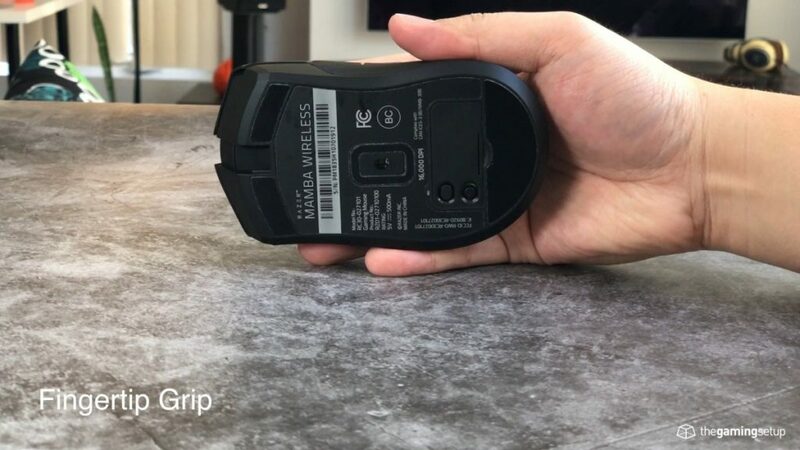 Fingertip grips remove the palm from the equation when controlling the mouse relying on only the fingers to control mouse movement, it’s usually reserved for people with really large hands or really small mice. The fingertip grip allows for the most amount of freedom relying heavily on the wrist and fingers. It’s the loosest grip of the three and is very low tension. While the fingertip grip may be fast, it’s much harder to get good and consistent with tracking since arm aiming is much less used with this grip. 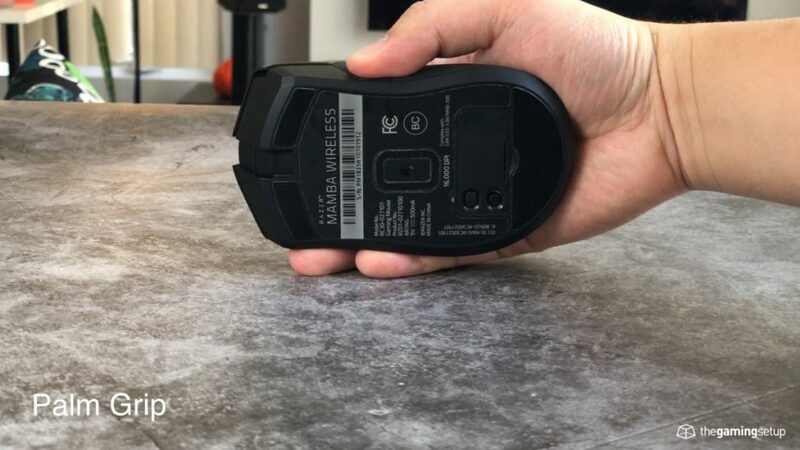 Most mice that are small, flat and light are going to be good for fingertip grips, they generally overlap as mice that are also good for claw grips: Zowie S and FK series, Air58 and the Logitech G305. There isn’t one! You’re going to perform best with the grip that’s most comfortable for you and your setup, I personally switch between palm for FPS and claw for MOBAs since claw is much better at spam clicking. If you really just want to optimize gameplay and your hand feels okay with it, I’d try going with a claw grip to start, it has the best of clicks and tracking at the cost of hand stress, so if you find it comfortable start there and find your fit. One way to figure out which grip is best for you is to get two mice of similar size but with each being better for a specific grip, a good example of this would be the Zowie EC2 and Zowie S2, the EC2 is better for palm, the S2 is better for claw, both are made for medium-ish hands, use both in both grips and see which one you prefer.